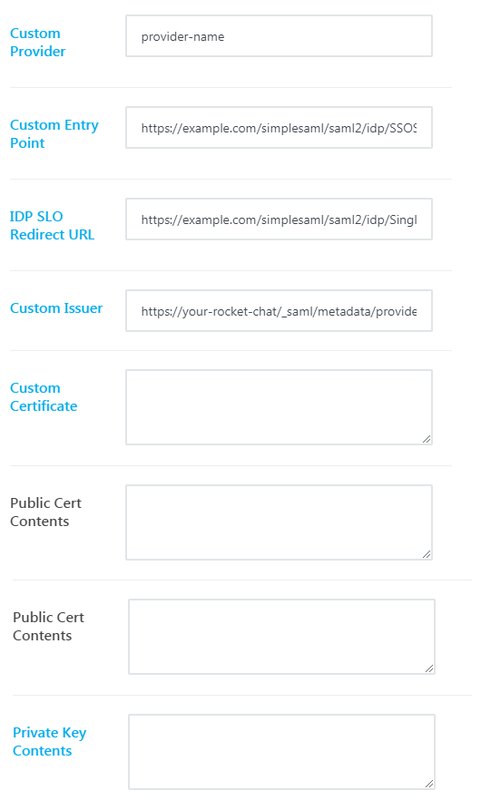 I created a SAML client in keycloak, but the keycloak SAML fields are named differently to rocketchats, so im confused about what fields to setup in keycloak, and where to put them in rocketchat? Ive been reading rocketchat documentation but still confused. im confused about what fields to setup in keycloak, and where to put them in rocketchat. >IDP SLO Redirec URL ? >Custom Certificate (public CA cert for keycloak site) Correct? >Public cert contents (Keycloak generated public key) Correct? >Private Key contents (keycloak generated private key) Correct? Should i turn on Sign Assertions? Should i turn on Encrypt Assertions ? I set a Master SAML Processing URL https://mykeycloakdomain:8443/rockechat/saml Correct? As i dont really know what to put…? Do i need to do anything in client scopes? Surely this isnt a difficult question? f im asking this under the wrong section, please tell me?